The most anticipated LTE device coming to T-Mobile is without a doubt the iPhone 5. It’s not hard to imagine that once the carrier begins selling its own Apple device the number of iPhone users will get a significant boost from the 2 million iPhone users currently signed up with the mobile company. T-Mobile had not made a deal with Apple to carry the iPhone, from the four major cell phone companies in the U.S. they are the last one to do it. During the last 2012 financial reports from T-Mobile there were several goodies revealed. T-Mobile subscribers will be happy to hear that the mobile company announced that their 4G and HSPA networks now cover more than 150 million people in the United States. Kansas City and Las Vegas are the first two cities with complete coverage. As soon as T-Mobile begins launching LTE devices (in the coming weeks) subscribers in those cities will be able to enjoy them. The mobile carrier said they plan to reach more cities and cover more than 100 million people as they accelerate the launch of their 4G LTE network by the summer and more than 200 million by the end of the 2013 year. 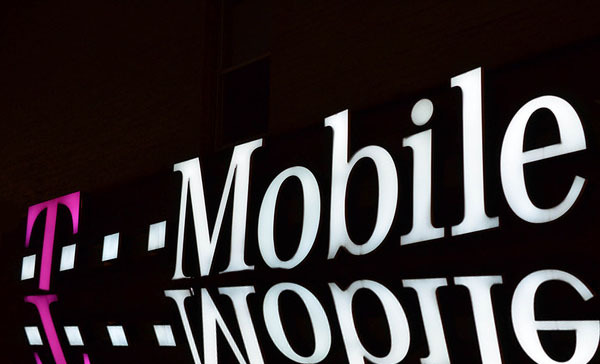 T-Mobile is said to be building up its army of LTE smartphones before the official launch. Rumors around the net say T-Mobile will begin selling the Samsung Galaxy S3 LTE and the BlackBerry Z10, two extremely popular devices. In the meantime T-Mobile’s bring your own device program keeps growing exponentially, and it’s all thanks to the carrier allowing unlocked iPhones to run on its cellular network. T-Mobile is said to be gaining about 100,000 iPhone subscribers every month, according to company reports. The mobile carrier also stated that the network is home to more than 2 million iPhone users. What’s exciting about statements is that for the first time T-Mobile will begin selling the iPhone 5 and very soon, current rumors point to a late March or early April as a possible date for an official launch.